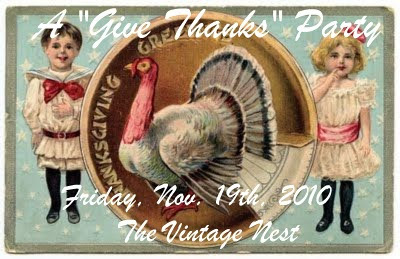 Lynn at The Vintage Nest is having a Give Thanks Party. The things for which I am thankful have not changed since last year, so I am re-posting last year's post. Of course, anything for which I am thankful is also a favorite thing, so this is my Favorite Things Saturday post as well, and I'm linking to Friday Favorites at The Whistlestop Cafe. 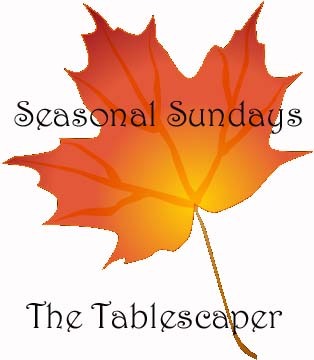 I will also be linking this post to The Tablescaper for Seasonal Sundays and to Happy to Design for Sunday Favorites. I apologize that this post is kind of a mess. I've been posting from Live Writer for so long, I've almost forgotten how to use Blogger. Since I was copying an old post, I had to use Blogger. Information about sending cards to Heather and Robert is located above the prayer list on my sidebar. Thanks. Hope you have a beautiful Thanksgiving with all of your family around you, enjoying the beautiful table(s) you are sure to set! p.s. I have stolen a copy of the turkey and the little boy, soooo sweet! I hope you don't mind. I will of course credit you! What a lovely post! 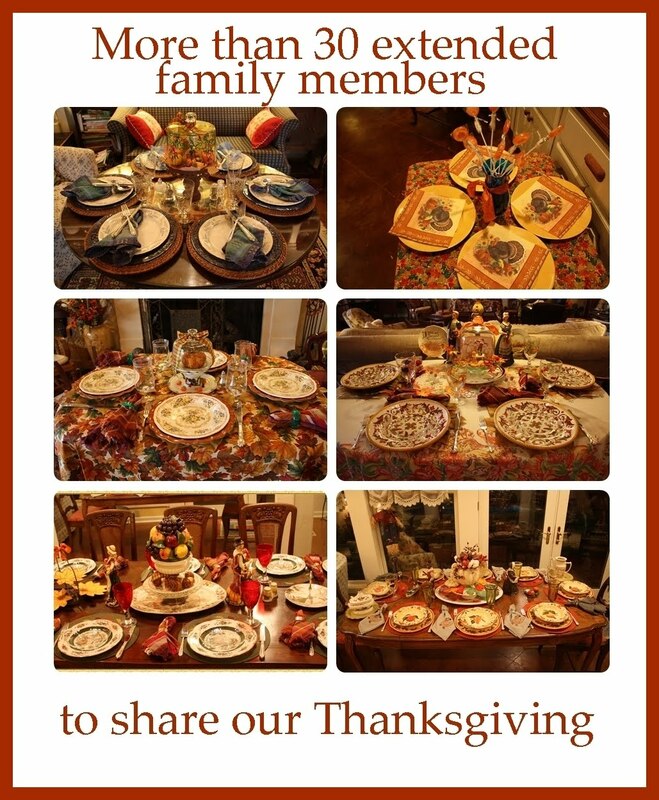 Looks as if you are going to be Busy Laurie, with that many loved ones coming for Thanksgiving -- happy cooking! 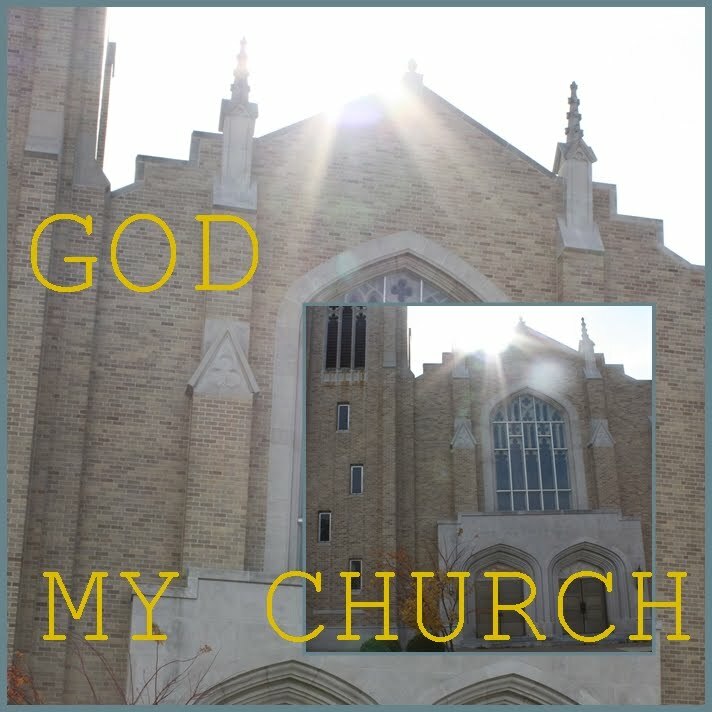 Enjoyed my visit to your Giving Thanks post and your Blog. Wonderful thoughts and blessings you have shared. Happy Thanksgiving to you and yours! I love this post Laurie! It says it all and its got your creative touch! 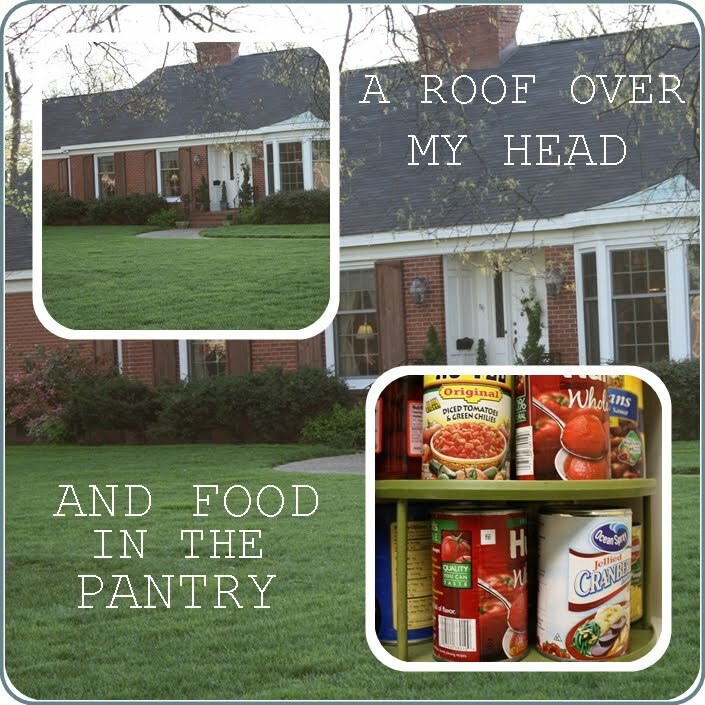 You are doing the green thing and recycling :)) and it's a lovely post too, thanks for sharing. Have a wonderful Thanksgiving. See you next week! A wonderful post. We really have so many blessings in our lives. And having you as a friend is just another wonderful blessing! I hope you and Mr. Laurie have a terrific Thanksgiving!! Ahh you really DO have a lot to be thankful for. you are such a sweetheart you deserve all the good things that have come into your life!! You are blessed. I enjoyed this post of thankfulness. Thank you, Laurie...your Thanksgiving post is so wonderfully sweet! You know, I count my blessings daily, however I am so glad that we have a season of thanksgiving...in particular...a special day set apart...just to recognize our many blessings! Happy Thanksgiving, dear sweet friend! I too, count you as one of my blessings! Friendship is such a sweet thing...for where would we be without our friends? I am also very thankful that I know the Lord and that I belong to HIM! He is such a loving, gracious, and merciful Saviour!!! I don't know where I would be without HIM as well! I acknowledge that ALL blessings come from HIM!!! Thank you, Lord!!! Well my friend, thank you for joining in with the Sunday Favorites party this week...I'm just tickled pink to have you! 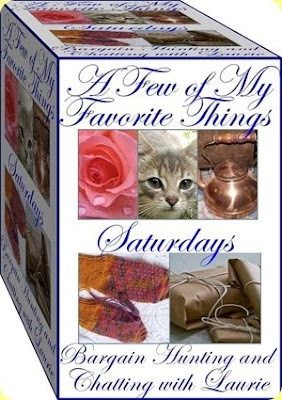 And...thank you so much for hosting another week of Favorite Things Saturday! I really appreciate your time and effort in making an opportunity for all of us to share a few of our favorite things each week! This is my first visit. What a lovely blog. Your post hit home. We have so much to be thankful for. Thank you for sharing. Thanks for hosting. 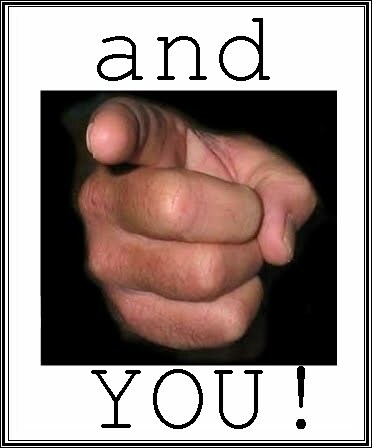 Your post is full of blessing! Thank you. 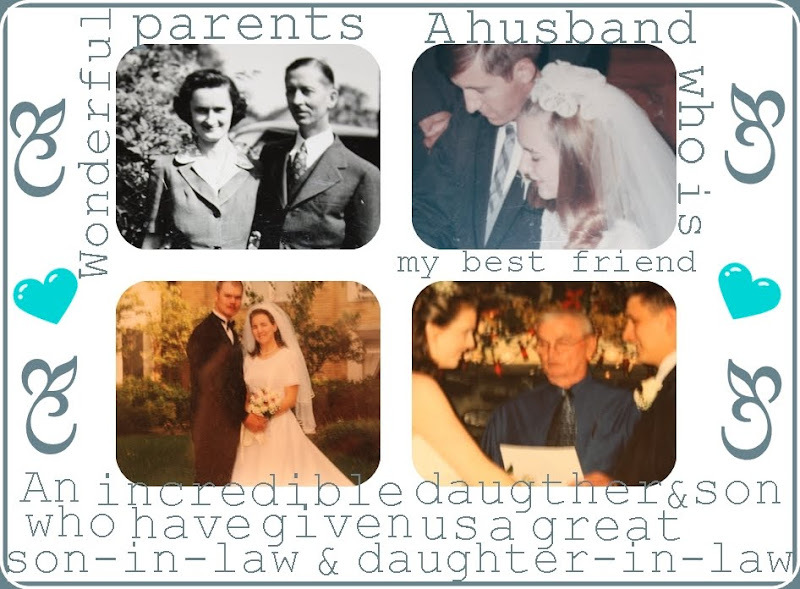 Laurie, this is a wonderful post and tribute to your family. 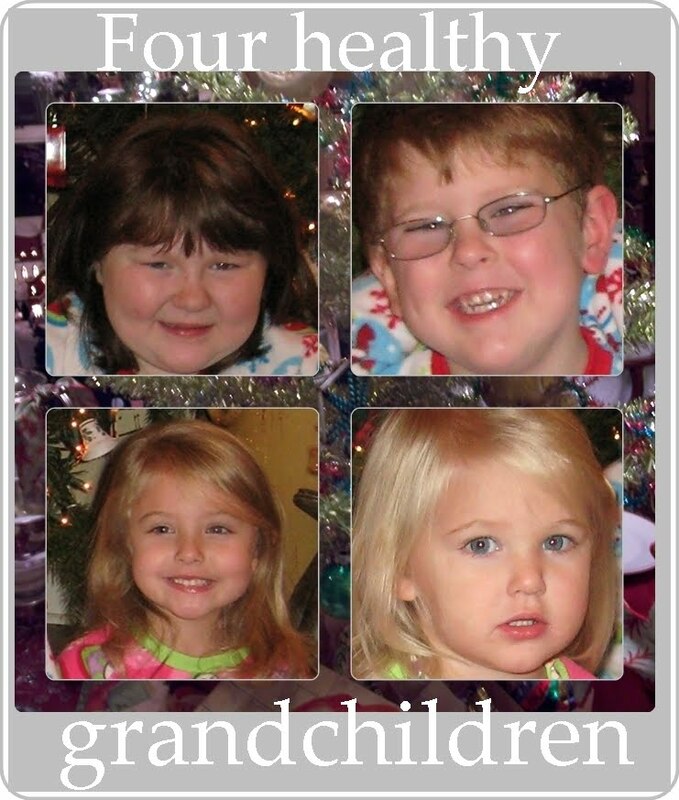 What beautiful grandchildren! I see a lot of their grandmothe smiling in those sweet faces. Happy Tgiving, you are truly blessed, as so many of us are! I love how you make room for everybody! How many birds do you cook for that crowd? Wonderful reasons for thankfulness, Laurie! And we're thankful for YOU! Hope you have a wonderful Thanksgiving (and that you're not doing all the cooking for 30 people!). Your post reminded me that there's so much to be thankful for...I think that's why I like Thanksgiving so much–it reminds me of all my blessings! Your Thanksgiving tables are so lovely. How wonderful for all your guests. Thanks for hosting the link party. Have a Happy Healthy Thanksgiving!! What a wonderful posts! Those are truly the thing to be thankful for. I am also thankful for fun bloggers like you! Thanks. Hi Laurie! What a lovely post about thankfulness! I pray you have a wonderful blessed Thanksgiving. This post wasn't a mess for me, it's lovely. Thank you. I stopped by to say Happy Thanksgiving to you. I love the way you show your gratitude. Thank you for visiting My Cozy Corner. We are truly blessed to have so much. Thanks for re-posting this as a reminder to all of us. Hope you have a wonderful Thanksgiving. We are traveling to Arkansas as usual. Can't wait. BTW, I'm exhausted after last night's game. What a wonderful post! The poem is lovely and such a great reminder we have so much to be thankful for! I enjoy my visits to your blog-thanks for all the inspiration this past year! a nice reminder to count our blessings. wonderful family and your tables look very inviting. What a neat way of presenting all that you are thankful for. It's great having you be a part of Seasonal Sundays. 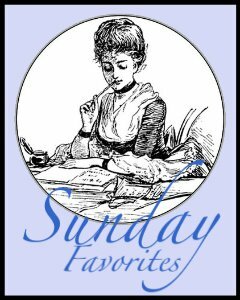 Just stopping by again to say thank you for joining in with the fun of Sunday Favorites! I hope that you're having a wonderful weekend!!! Dear sweet Laurie-I am certain of two things: 1. you have the cutest grandkids ever! 2. They are all thankful for YOU! Hop you and yours have a blessed holiday! I hope you're having a wonderful Thanksgiving! This year is one we have so very much to be thankful for. I slept in Heather's room last night and she looked beautiful this morning. Her cheeks were pink and rosy like before her illness took hold. The doctor's are pleased with her progress and she can come home once she is switched to oral pain meds. Robert and his family are wonderful people and we have been blessed. His surgeon told me he felt Robert was someone visiting from heaven here on earth! He is certain Heather's and our angel. I love coming to your blog.. You always have interesting and entertaining posts..
all your tables are so pretty and festive..